Of all the ways for both newbies and seasoned marketers to make money online, affiliate marketing is probably the most often used. It gives the marketer the opportunity to focus his or her energies just on the marketing aspect of the sales funnel. After all, the hardest part of starting a business online is to develop a great product with sizzling sales copy – elements already taken care of when you’re promoting affiliate products. With these two milestones taken care of, your energy can be focused on driving traffic to the affiliate sales site. Think of it this way: someone writes a great product that teaches specialty dog training – but then doesn’t know how to reach his or her audience. On the other hand, you know that there is a huge market for specialty dog training, and you know how to generate traffic to a site, but you have no personal knowledge of the dog training niche. 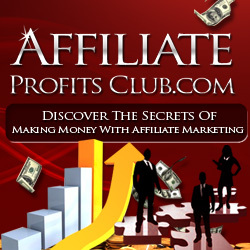 Enter affiliate marketing. You do what you do best – market and drive traffic. In this way, you become a traffic driving expert rather than an infopreneur that sells a dog training course. At the same time, it helps the owner of the dog training product because they would rather write and teach dog training tips than have to find ways to research hot keywords or write articles. Affiliate marketing is a perfect opportunity to help immerse you into the world of Internet marketing. While there are many dozens of ways to make money online, affiliate marketing definitely offers the most flexibility and variety for the serious online entrepreneur.